blue. I will add more pics as it progresses." 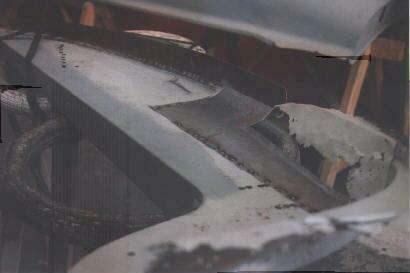 I'm sending you three photographs which show how the car was by the end of last month. 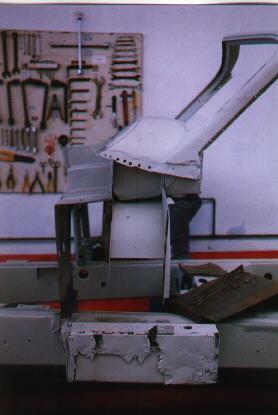 At this time, we were repairing the cowl support structure, which was quite rusted. 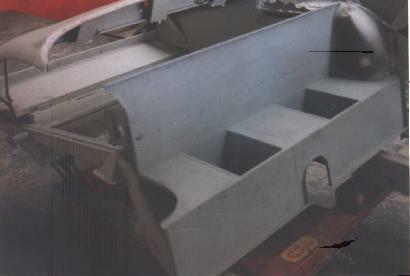 Now, we have finished the rebuild of this section, and we have presented the fenders. The next section to be repaired will be the back structure, which will take some 2 months. 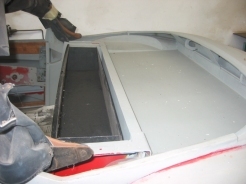 I bought new sills in the UK, and we will fit them definitely when the back is repaired and back on the chassis. 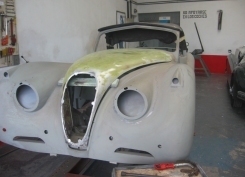 Just to give you an idea of how it has gone so far, we started dismantling the car by August last year, after coming to the conclusion that the car, although it was running, could not do with nothing short of a ground up restoration. 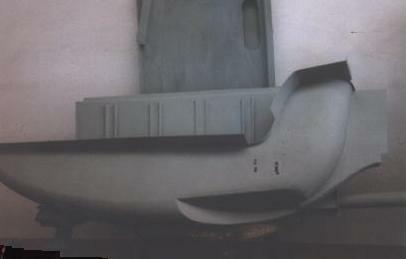 We identified then which parts would need replacement, and sourced all of that with the exception of a few body items from Guy Broad in the UK (about 100). 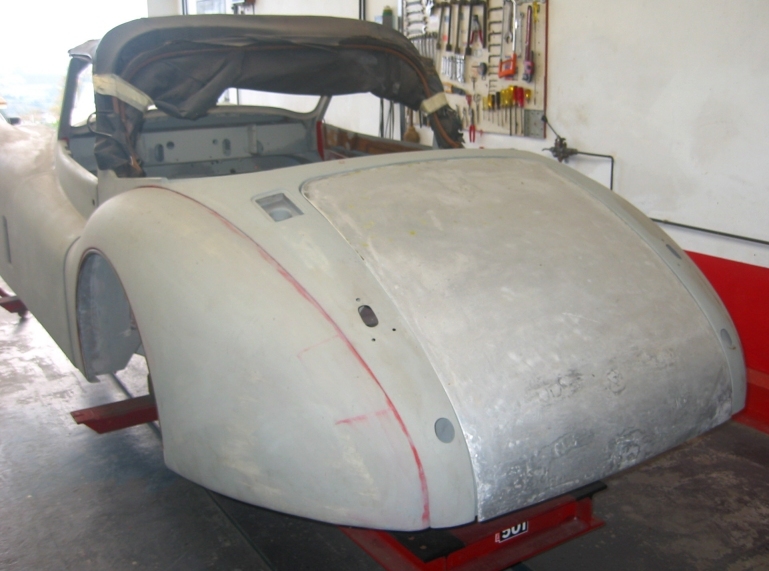 Most of them were small things; the most expensive were the wire wheels and the chrome trim parts of the hood (all of that was missing). 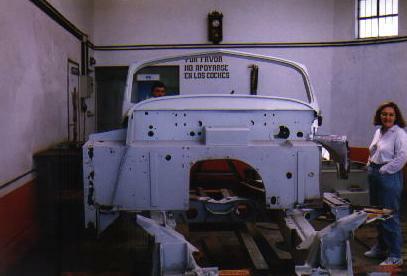 Coming to the body, we found out that it would be cheaper to rework than buy new, in most cases. We calculated the work cost for each part and compared it with the price of the new parts. However, we bought several: the front lights structure, and the door sills. I suppose this will be different in each case, but given the cost of labor here it made sense for us. 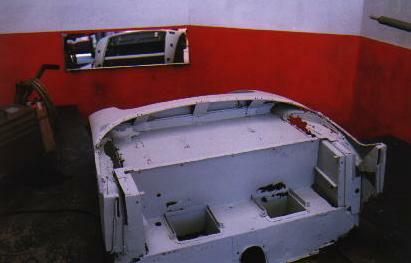 Then we proceeded to rebuild the 4 fenders, and sandblasted the chassis and the remains of the body. You can see how rusted it was. I think this is something like average, but it was quite more than what we had expected to find before dismantling the car. 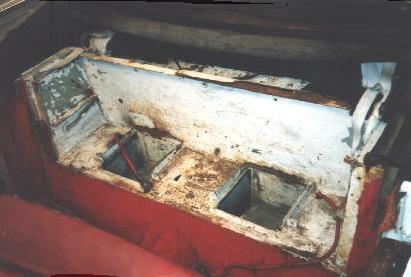 The chassis was overall in quite good condition. It has only rust in the last 6 inches or so of the rear leg arms, and we will need to replace that before mounting the back end again and welding the sills. As Wray recommended, we are using the chassis as a jig for the body alignment. Besides, we have done a number of things. 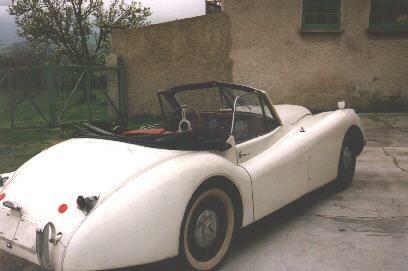 The radiator was recored, and I sent the engine for a full rebuild to VSE engines in the UK. Here, the labor was more expensive, and we were not sure of what would be the quality of the results. It is already finished, and will be back in a couple of weeks. Also, we have repaired the gearbox, which was in fair good condition. The transmission and the rear axle needed only new seals. We have also rebuilt the steering and the suspension (mainly new rubber parts). I'll send you in a couple of days a few photographs on how the car looked at the beginning, and on some parts of the restoration so far, and will send you some more as the restoration progresses.